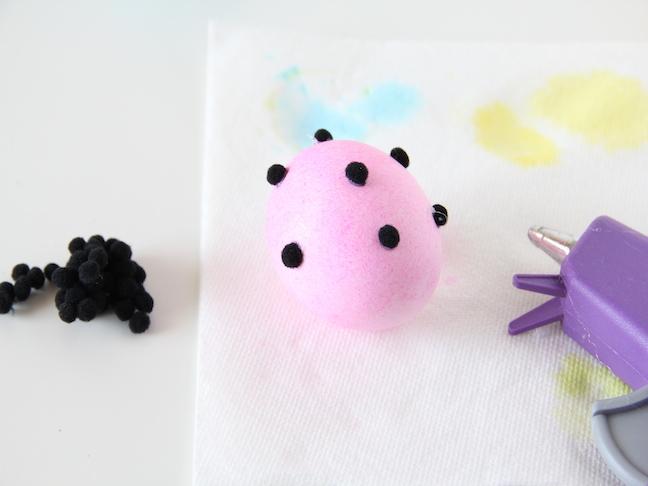 This Easter, make some eggs that will really stand out! 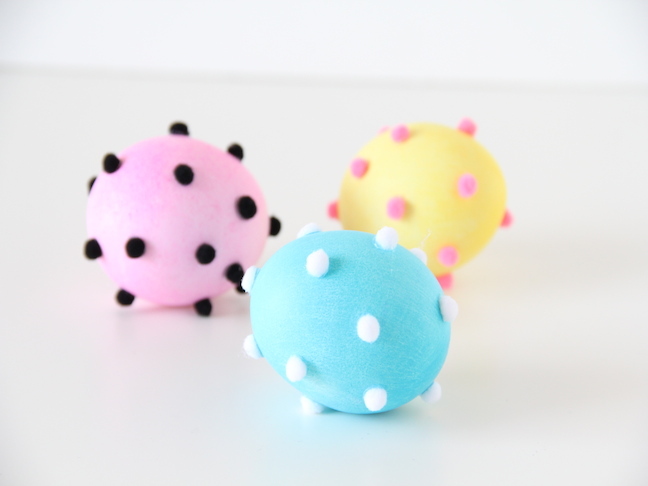 These cute and easy pom pom Easter eggs are a lot of fun for the whole family to enjoy. MIx and match your colours to make them your own! Step 1: Dye your eggs in whatever colours you want. Before you start it helps to have an idea of what colour combinations you are wanting with the dye and the pom poms. 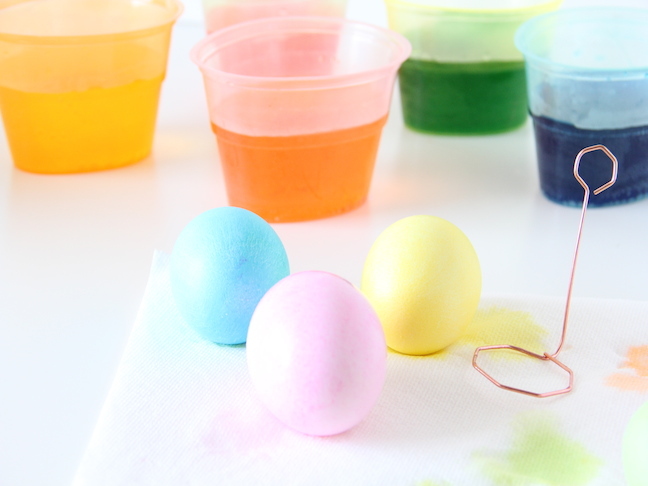 Step 2: After the eggs are dyed, let them dry completely. Then with your glue gun, start adding those pom poms! 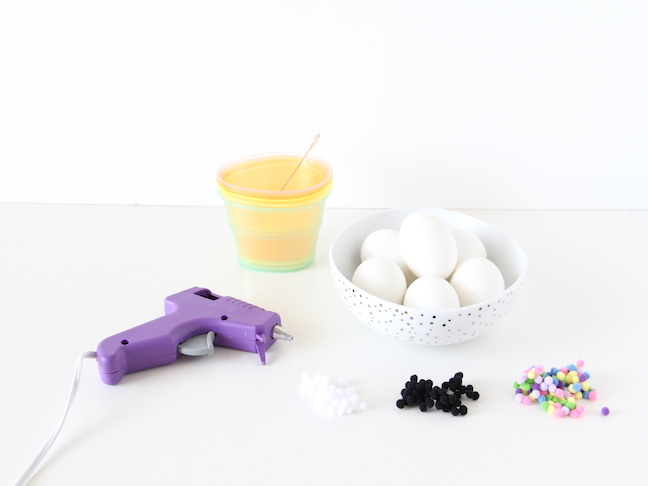 Cover the eggs as much or as little as you want, let the glue dry, and you’re done!